Viewing entries tagged "oral histories"
New materials from Edgecombe County Memorial Library are now online and include additions to the M.S. 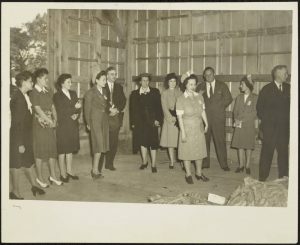 Brown Photography Collection as well as sound clips, transcripts, and photographs from the Oral History of Agriculture in Edgecombe County project. 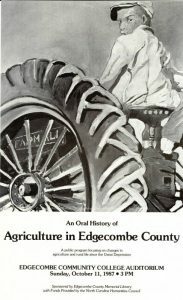 The Oral History of Agriculture in Edgecombe County project was completed in 1987 and is comprised of interviews from farmers and those who worked in farm-related industries in Edgecombe County. This project culminated in a live event held at the Edgecombe Community College Auditorium on October 11, 1987 that included a lecture and discussion about topics covered in the oral history interviews. The event program reads, “the interviews vividly tell the story of how the country’s farmers, farm women, merchants, manufacturers, and extension agents helped shape farm life during a period of time characterized by involvement of the federal government, mechanization, the growth in size of farms, the decline of tenancy, and the loss of farm-related jobs.” The original cassette tapes containing the interviews have been digitized and transcripts are available for many of the interviews. 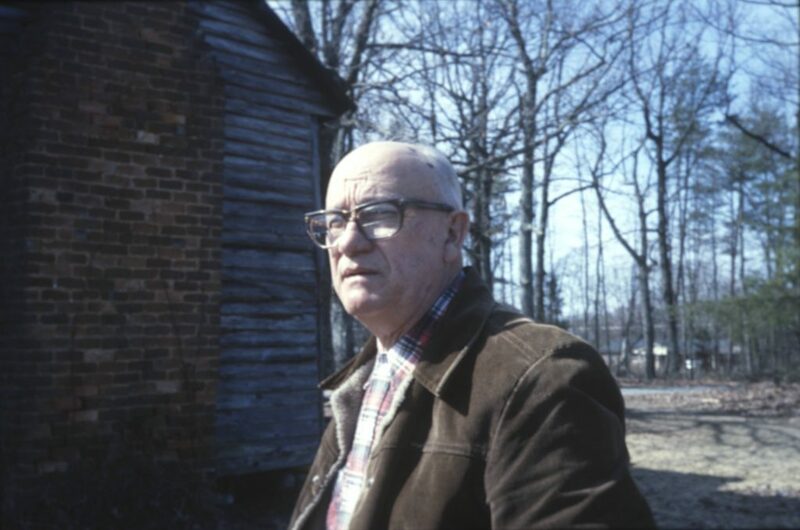 These oral histories give a wonderful glimpse into the daily life of farmers in Edgecombe County, and speak to how farm life changed from the Depression-era through the late 1980’s. Additions to the M.S. Brown Collection include more images of school life, events and parades, and houses and businesses in Edgecombe County, all taken by Tarboro citizen M.S. Brown. To see more materials from Edgecombe County Memorial Library, visit their partner page or take a look at their website. A photograph from the M.S. Brown collection showing people at the Tarboro tobacco market. Here at the Digital Heritage Center, we’re able to scan or photograph almost all kinds of two dimensional items and even a goodly number of those in three dimensions. However, audiovisual materials are sent off site for digitization to a vendor and, as such, it’s a service we’ve only been able to offer annually. We just concluded our second round of audiovisual digitization and, like last year, our partners came forward with a wide variety of film and audio nominations documenting North Carolina’s history. This is the first in a series of posts about the accepted nominations, with links to the items in the Sights and Sounds collection. Unidentified man, presumably from Gaston County and interviewed for the Crafted with Pride Project in 1985. The “Crafted with Pride” project, led by several cultural heritage institutions and businesses in Gaston County in 1985, sought to record and bring public awareness to the textile industry’s impact in Gaston County. During the project, a number of oral histories were collected from those who had worked in textile mills and lived in mill villages in towns like Belmont, Bessemer City, Cherryville, Dallas, Gastonia, High Shoals, McAdenville, Mount Holly, and Stanley. Belmont Abbey College has shared these oral histories on DigitalNC, as well as images and documents from the project. The oral histories touch on the toil of mill work, especially during the Great Depression, and the positive and negative cultural and social aspects of mill villages in North Carolina during the early 20th century. 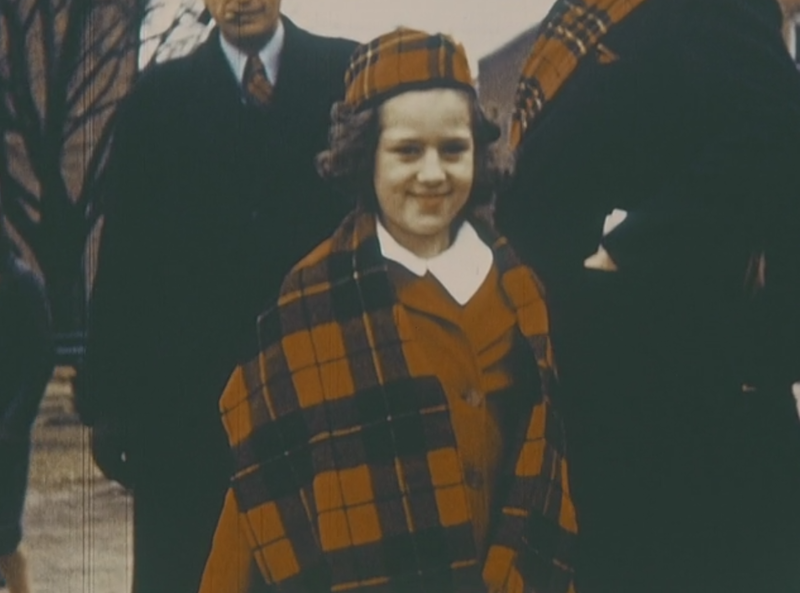 An unidentified girl wearing tartans at festivities surrounding Cumberland County’s Sesquicentennial in 1939. Silent footage of the 1939 sesquicentennial parade in Fayetteville, N.C. combines Scottish customs, local history, and military displays from Cumberland County. This film was nominated by the Cumberland County Public Library, along with a brief advertisement soliciting support for renovation of Fayetteville’s Market House. Scene from “The Sound of Mucus,” performed by Duke Medical School students in 1989. The films and oral histories nominated by the Duke University Medical Center Archives describe the history of Duke Hospital and Duke University’s School of Medicine. Included is a Black History Month Lecture by Dr. Charles Johnson, the first black professor at Duke Medicine, in which he describes his early life and his work at Duke. You can also view “The Sound of Mucus,” a comedic musical created and performed by Duke Medical students and faculty in 1989. Two interviews conducted with Wilburt Cornell Davison and Jane Elchlepp give first hand accounts of Duke Hospital and Medical School history. We’ll be posting several more blog posts in the coming weeks which will introduce the other films from our partners now viewable on DigitalNC.